I purchased a very charming but very damaged plate in 1982. As I have said before, condition is a moot point when a pattern is lovely and rare (See Mona's Isle And A Lesson In Transferware Condition, http://dishynews.blogspot.com/2013/06/monas-isle-and-lesson-in-transferware.html.) I was never able to learn anything about the pattern until I read John Griffin's book "The Don Pottery" in 2002 (published in 2001). There on p. 113 was a photo of my pattern! The plate in the book is marked with the transfer printed lion mark. John says it is a rare print (I knew that already) and he hoped "that the roses were the thornless variety." I would like a perfect example, but in the last 31 years I have not seen another plate in this pattern for sale. 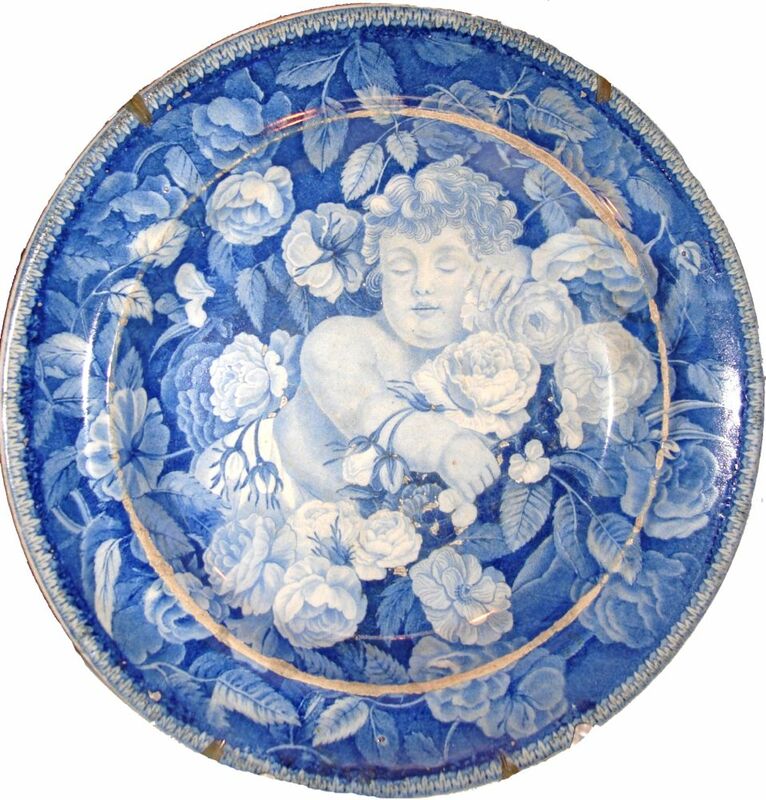 In the meantime, I have enjoyed looking at this charming cherub!